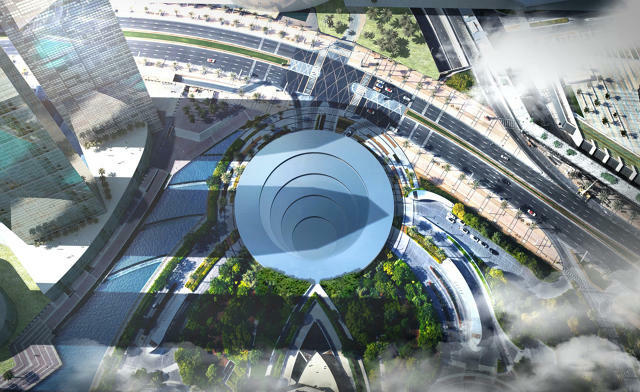 Hyperloop One plans to build the first commercial hyperloop transportation system to go from Dubai to Abu Dhabi in about 12 minutes. 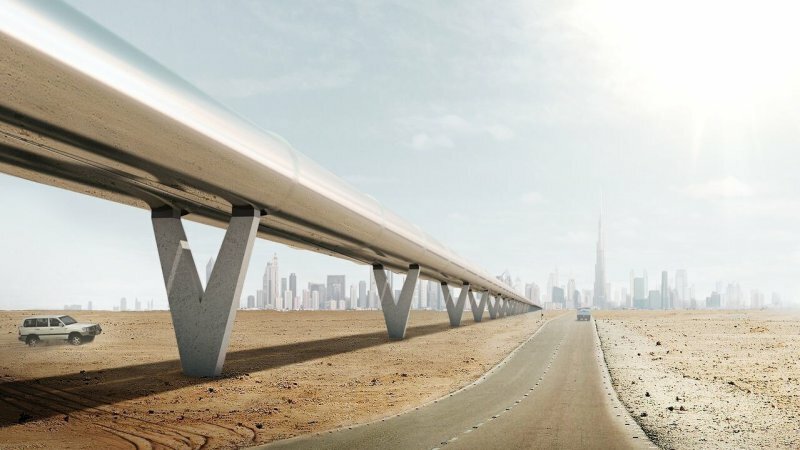 Working off of Elon Musk’s famous idea, Hyperloop One signed a deal with Dubai’s Roads and Transport Authority to figure out how to build this system in Dubai. While exactly where the Hyperloop will run is still unclear, the company did offer up some impressive renderings of what the future may look like. Unlike other types of fast travel that requires planning in advance and is costly, the Hyperloop is meant for spontaneous travelers and will be reasonably priced. The interior of the pods is different from other types of transportation as it places an emphasis on customization. The pods, which can seat 6 to 100 people comfortably, are designed to have more of a living-room feel and be less reminiscent of airplane/bus seating of people crammed into small chairs all facing one direction. Individual pods can be customized in various set ups such as meeting rooms and lounges. The Hyperloop’s docking stations will be arranged in circles or into a cloverleaf shape, allowing them to be more flexible and take up less space than the stations for trains or airports. Once inside a pod, passengers can watch the view thanks to something called the zoetrope effect. Josh Giegel, cofounder and president of engineering at Hyperloop One explained how the zoetrope effect works, “Imagine that you’re sitting inside of a dark tunnel, and every 15 meters or so, there’s a small window. That window’s probably no bigger than the size of your computer screen. As you get up to speed, you’ll pass one of those windows about 30 times per second . . . Because it’s light outside and dark inside the tube, you actually get a very bright image that looks like it’s a clear tube the whole way.” While there will be multiple portals in Abu Dhabi and Dubai, the pods will travel directly to destinations without making any stops. 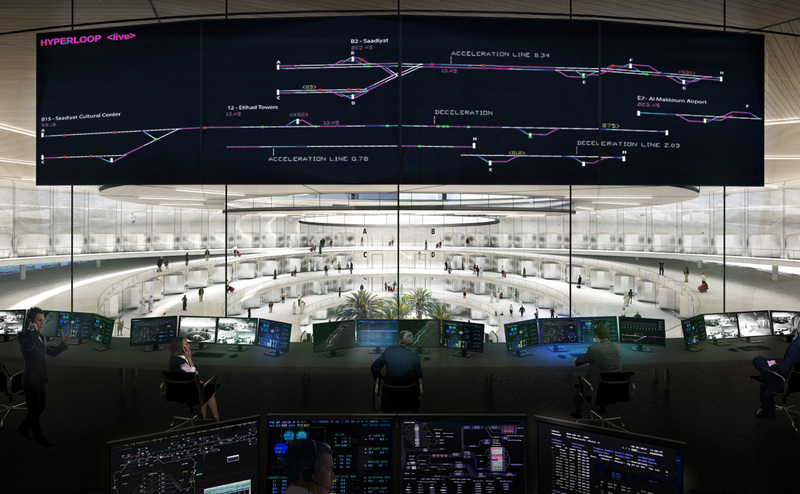 The company also plans for the system to be an “end-to-end network connector” that connects to other forms of transportation such as train stations or metro lines.